For two decades, Ashdene has been designing and manufacturing beautiful homewares products for their clientele. Ranging from cushions to bone china tea sets, mugs, trays, placemats, and more, you can be assured that their products will always be embellished in gorgeous and unique designs. As a proudly Australian company, Ashdene is often inspired by the majesty of nature, such is the case with this latest delightful collection. 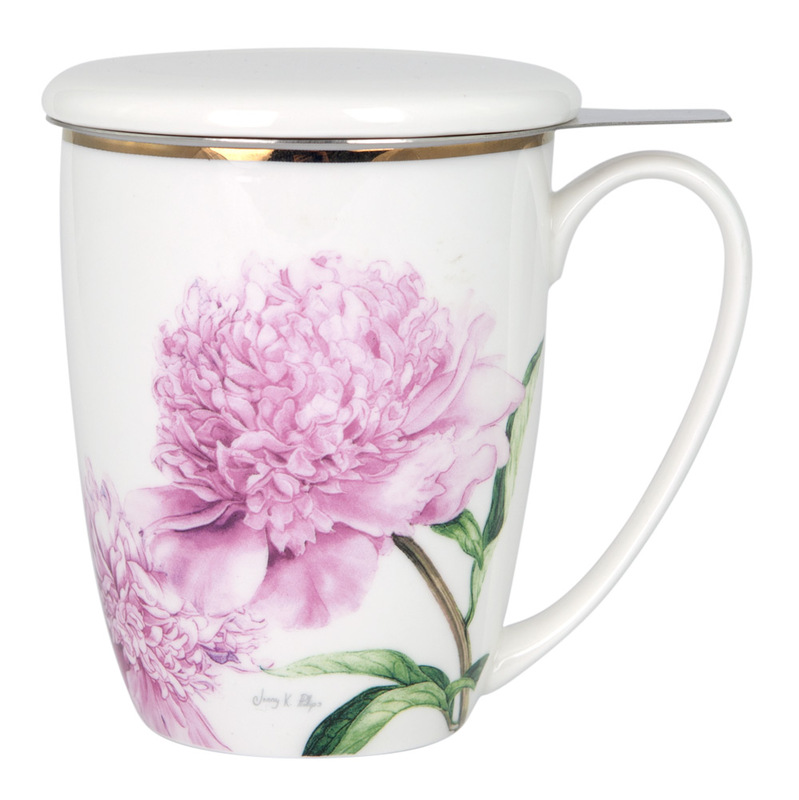 The Pink Peonies Collection is the perfect way to enhance your next tea party with timeless charm. Showcasing beautifully detailed illustrations by world renowned Botanical artist Jenny Philips, each piece is bought to life with peonies and butterflies in delicate hues of pink and green, complimented with hand painted gold rims and trims. Illustrations by Australian Botanical artist Jenny Philips. Mug with lid and a fine mesh infuser. Beautifully embellished with a delicate floral print. Mug and lid microwave safe.